Woody is a one-woman, multi-character, autobiographical disability arts performance that takes its audience through a theatrical journey that begins with a young woman’s congenital physical difference and leads to a greater discussion of first world vs. third world disability. It is the creation of Azimuth Theatre’s co-Artistic Producer, Kristi Hansen. The play explores the term “disabled”, and investigates the consequences of hiding what makes one different versus consciously celebrating it. 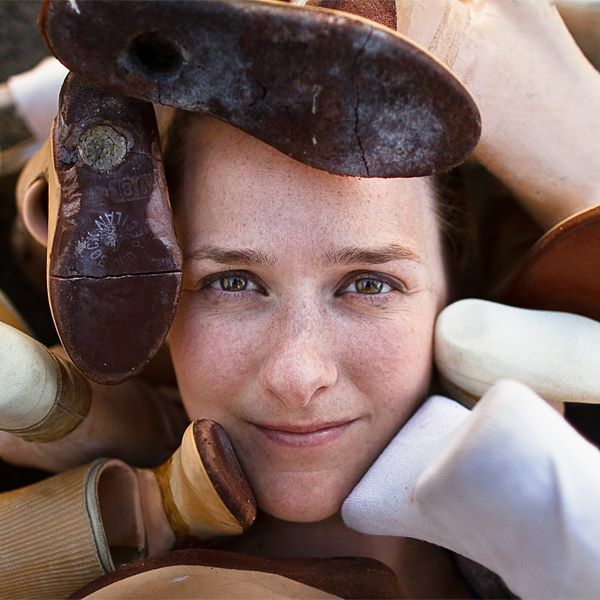 Using a combination of documentary footage from her childhood and transformative performance in which Kristi recreates key personalities in her journey, Woody is a quick flowing narrative built around the three major operations that Kristi underwent and her connection to people living with disabilities around the world (real and imagined). Hansen was commissioned to write Woody by the Manitoba Council for International Cooperation in 2005. The play premiered in Winnipeg, and toured schools and community associations throughout Manitoba. Part of Azimuth Theatre’s mandate is to serve audiences not traditionally served by professional theatre for reasons of age, education, or geography with work that evokes discussion of social issues promoting a compassionate perspective towards those affected by those issues. Woody can be performed in any venue with access to electricity and is also available for relaxed performances.